Thank you so much for the lovely photograph of Harvey in the pine frame. 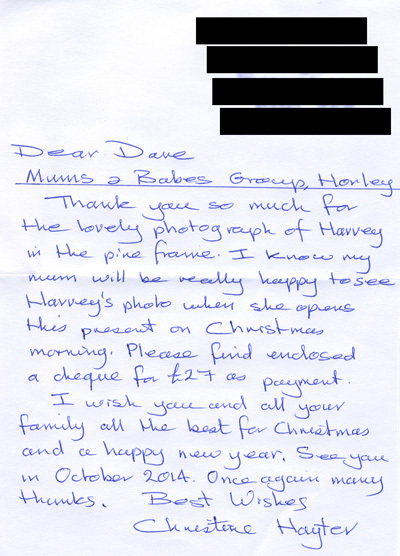 I know my mum will be really happy to see Harvey's photo when she opens this present on Christmas morning. Please find enclosed a cheque for £27 as payment.